With its Newsstand initiative, it would seem that Apple is seeking to speed the decline of traditional print publications. In the case of its latest print ad, however, the company partnered with one of the industry’s biggest names with results that can only be called perfect. We’re talking about the iPad mini ad Apple ran on the back cover of Time Magazine’s latest issue, which you can see above (larger version here). 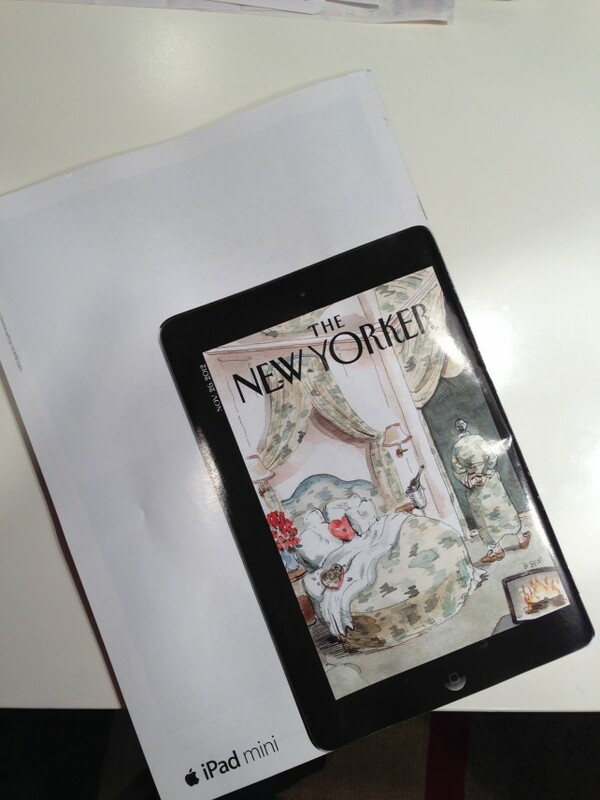 A similar cover-clone ad appears on this week’s New Yorker. Posted on Reddit by redditor Royale-w-Cheese, the ad features an actual-size iPad mini on a white background. 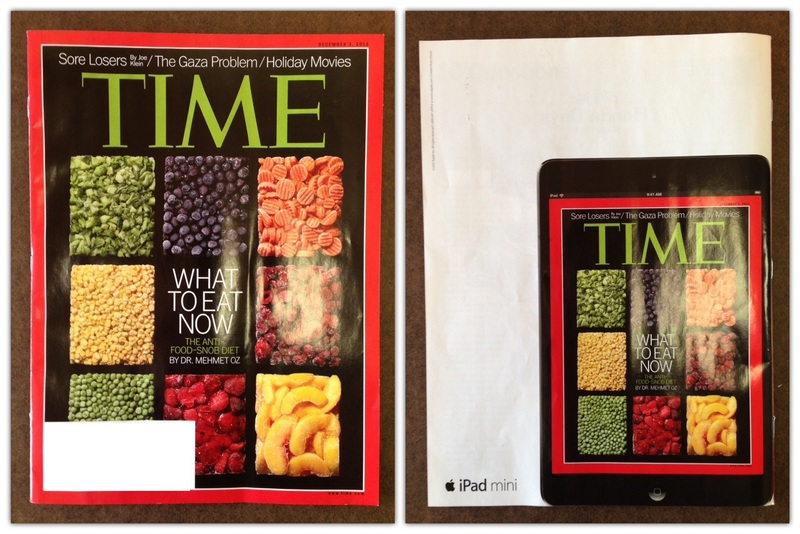 On its screen is the cover of the same Time issue, just as it would appear on the real device. The only text is the official iPad mini logo. It’s a great example of minimalist design sometimes being best, and gets across the point that iPad mini is capable of delivering magazine content — even showing what it will look like. It’s worth noting that historically, such tight alignment between advertising and editorial probably would have fallen afoul of Time Inc.’s legendary church and state separation, but in this case it appears that Apple (a major Time advertiser) managed to overcome any objections. In a way, it’s a win-win for Apple and Time, as the cover is technically promoting Time’s own presence on the iPad Newsstand.